The main objective of this report is to analysis General Activities of Bonani Rubber Industries (Pvt) Limited. General objectives of this reports are to know the basic difference between local companies and foreign companies and it will also help me to understand the buyers’ psychology. Finally this report make swot analhysis General Activities of Bonani Rubber Industries (Pvt) Limited. Textile is an inherent talent and skill in this part of the world. At the outset of Textile boom during the end of twentieth century, Bangladesh stepped forward to take the full advantage of its tradition and work force with modernization approach. The result is inevitable with a great success to become one of the largest garment exporters of the world. The Bonani Rubber Industries Fabrics launched its industrial journey back in 1985 and was involved in weaving of medium to heavy fabrics till 2003. Soon it became a reliable and quality supplier of greidge fabrics at home and abroad. During 80s and 90s Bonani Rubber Industries became a unique name in Fabrics market. Bonani Rubber Industries, having a solid background of weaving experience and great support and inspiration from customers, moved forward in the beginning of the new century. Along with expanded weaving capacity the company made one of the largest dyeing & finishing mill in the country. With most modern machinery and skilled exspertise behind the machine, Bonani Rubber Industries was able to create a revolution in fabrics marketing to Europe and America. Bonani Rubber Industries Fabrics made a good name in quality and commitment within shortest possible time with serious effort and expertise from home and abroad. There is no scope to be complacent with the success. In the context of highly competitive world of textile the growth and existence depends on quality and service to customers. There is no compromise on this point. Bonani Rubber Industries believes in quality, commitment and services which are the tools for growth of the enterprise in last two decades. Bonani Rubber Industries Textile Limited has seven spinning units situated in Narayangonj. These units are equipped with the latest machines in all of their departments. In the spinning units the fiber is converted into yarn, and as this the quality of yarn is very important in the textile sector so spinning units have a lot of importance. Generally the spinning mills mechanism is very similar. It starts from the mixing department where the bales of cotton are mixed and at that section the most visible impurities are taken out. This mixed cotton is then taken to the blow room by a machine. After going through a process it is taken to the card room for the next process. After the card room the route is taken by keeping in view that whether carded yarn is the end product or the combed yarn. The combed yarn is of better quality and its process is a bit bigger than the other one. For the carded portion the drawing breakers & drawing finishers are used to prepare the fiber to a certain level so that the process on the simplex machine can be carried out. On the other hand, in the combed portion, after the drawing breaker the cotton goes through the lab former, & after that it goes through the combing machine, where the comer noil and comber sliver are separated. The comber sliver, after passing through the PC drawing & Drawing finisher goes to the simplex machine. The product that comes from the simplex machine is then taken to the Ring section where the yarn is to be made. Finally after passing through the auto cone the yarn comes in the packing department. In Bonani Rubber Industries the process of Ultra Violet Checking is also practiced to ensure the quality of the yarn. Very similar to the spinning units, the weaving units of Bonani Rubber Industries are really very well equipped with the latest machinery to make the best possible product for the customer to gain the customer satisfaction. Most of the machines in the weaving unit of Bonani Rubber Industries are of new technology & Bonani Rubber Industries has a very good check on the quality of fabric produced by its Quality Control department. The end product of the spinning unit is the starting point of the weaving unit. When the cones of the yarn are brought to weaving unit, it is then taken to the warping zone in which the beams are prepared. These beams are then taken to the sizing section where the different chemicals are applied to the yarn so that the weaving of the fabric can be done with the minimum breakage of yarn. After sizing the process of drawing inn is applied so that the yarn could be converted into fabric. After the drawing inn the beams of the yarn is then taken to the Sulzer Looms so that the yarn is converted into the weaved product. When the greige is made, then it is taken to the inspection department, where a lot of quality check is done. At the first step the fabric is classified into two types, i.e. A grade & D grade. The D grade fabric is either used in the B grade sale or in gathering of the fresh pieces. While the process of A grade fabric is a bit longer. The A grade fabric after mending, goes to the checking machines, from where it is taken to the rechecking machines. After rechecking either the greige is rolled or folded & packed according to requirements of the buyer. Bonani Rubber Industries has one of the largest weaving setups in Bonani ,Chakbazar Kaspur, Narayangonj. This Unit is equipped with the later Air Jet looms. The variety level of the product is very good. In the warping section Bonani Rubber Industries has 5 Benninger Machines which are of Switzerland origin. In the sizing section the Bonani Rubber Industries has 5 machines. As far as the looms are concerned, Bonani Rubber Industries has 389 looms for preparing the greige. Out of these 389 machines 96 are Sulzer Ruti of Switzerland, while other machines are the latest Air Jet machines of Japan origin. The weaving unit of Bonani Rubber Industries is specially very well known for its product in all over the country. After completion of the greige the g/sm test is applied so that to have the best customized product. Finally in the folding section checks are applied at every step of the folding process. The weaving units of Bonani Rubber Industries are known to be the best producers of greige product in Bangladesh. The purpose of all these checks is to ensure the Quality of the end product. The above are the machine which is used in the Quality Control Lab to ensure the quality at every step. The operations of Production & Planning Department are to work as a bridge between the marketing team and the processing people, so this department has the prime importance. All of the communication which is held between the processing & the export people is done through this department. The finishing department is also very important because it is the center of operations held in the processing unit. The above are the machines & a very brief overview of the machines. The bleaching department is like a back bone of the processing unit. After weaving mill, the fabric is brought to the bleaching department where it is prepared on the above machines so as to be prepared for the Printing or Dyeing. The Quality Control people ensure the Quality of work in the Bleaching to fulfill the collective goal. The Printing department of Bonani Rubber Industries Textile Limited comprises of three rotaries, i.e. Reggianni, Zimmer & Stork. Along with theses three rotaries, the printing department has three sampling tables to fulfill the sample need of the customers of Bonani Rubber Industries. The Printing department of Bonani Rubber Industries is working at its best & producing really good stuff. After the printing from the rotaries, the route of the fabric depends on the dye class. If the reactive dyes have been used, then the fabric will be taken to first of all Ager Machine & then Goller Soaper Washing, then to Stenter finish & finally to the calendar. So above is a bird’s eye view on the dyeing department of Bonani Rubber Industries. Finishing department of any textile mill has a very significant importance because it acts like a hub in the Processing. Almost every fabric which goes through processing unit, it has to be passed through the finishing department. The finishing department of Bonani Rubber Industries Processing unit is famous for its quality work. It comprises of many latest machines which includes Stenters, Cylinders, Raising Machines & Sanforizing Machine. The Sanforizing machine is used for relaxing the shrinkage of warp. The machine possessed by NML has a workable width of 114”. It is basically used either on customer demand or in case of Garments. The standard is 5%. Bonani Rubber Industries has one Sanforizing machine in its processing unit. This basically means to raise the fibers from the surface of the fabric. The machine possessed by the finishing department of Bonani Rubber Industries has a workable width of 114”. Bonani Rubber Industries has one raising machine in its processing unit. NML has 2 Cylinders. The basic purpose of calendaring is to have the shine & to have better hand feel. These Cylinders are of two different lengths, the workable width of the Cylinders is 100” & 111” respectively. The above is a brief introduction of the Finishing department of Bonani Rubber Industries. The folding department of the Bonani Rubber Industries has a daily production of 1,00,000m. The folding department is the last department of the Processing Unit. After the folding unit the fabric is transferred to GSC. The folding department has two kinds of machines; the kind is rolling machine while the other kind is of folding machines. It depends on the requirement that which kind of machine would be used. In the folding department of Bonani Rubber Industries latest 4 score method is used for the inspection purposes. Quality checks are made at every step of processing unit. The Engraving Department of Bonani Rubber Industries Textile Mills Limited is equipped with the latest machinery along with the manual machinery for the process of exposing. In the Engraving Department of Bonani Rubber Industries, the screens are generally prepared which are then used in the printing process. The fifth width is currently not in the use of Engraving department and that are not in used in Bonani Rubber Industries now. 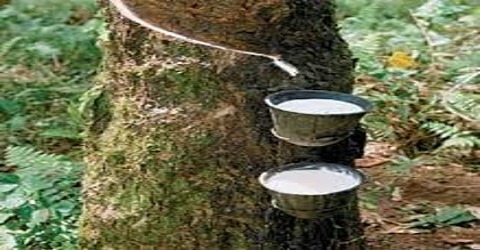 The first four kinds are basically in use in the Bonani Rubber Industries. The selection of the screens depends on the design requirement of the print. The most important thing which should be kept in mind is that only one screen should be used for one color that means the number of screens will be equal to the number of colors which will be used during the printing process. The first step which is taken in the formation of the screens is to coat the screen with SCR 100. This coating is done for the purpose of blocking the meshes of the screen so that the required king of design can be made through the screen. The coating of the screen takes almost 8-9 minutes. These screens are then heated in the ovens so that to carry out the process in the best possible manner. When the screens are heated in the proper way then they are taken to the exposing machines. The heat is provided to the screens so that to fix the SCR 100 so that the exposing stage should be started. Bonani Rubber IndustriesTextile Mills Limited has two exposing machines, one of them is manual and the other is fully automatic. The automatic machine is the “wax jet”. The process of exposing stage is different for both the machines. In the process of Manual Machine, it is quite a time taking process. In this machine, the presence of machine operator is very important; otherwise the time for each screen will be higher than the original one. Earlier most of the work was done through this machine but now the major load has been shifted to “was jet”. Irrespective of these facts the importance of this machine is still there. All sizes and widths of the screens can be prepared through this machine. Basically the manual machine is used for the word of design studio. The “Wax Jet” machine is fully automatic. The work done through the digital design studio is done through this automatic machine. The speed of exposing through this machine is relatively higher than the manual machine because there is not such need of operator at every stage of the exposing. The process at this machine does not effect because of the presence of the operator. The exposing is being done through the wax on this machine that is why it has such a name. The mechanism of this machine is that the machine is linked with the digital design studio, so the operator can access any of the prepared design in the studio. Then the wax is applied on the screen in such a way that the wax is applied on that place from where the operator want to open the meshes. Then the lighting process is done i.e. the screen goes through high power light. The result of this process is that the place where only coating is there and there is no wax, at these places the coating got fixed in such a way that the meshes are blocked in a better way. After this Exposing stage the screen is taken to the next stage. Bonani Rubber Industries has ordered for “ink jet” machine which will enhance the production capability of the engraving department. The screens are then taken from the exposing machines to the washing area. This is the area where the screens are washed so that the black portion can be washed from the screens. This is also called the Developing Stage. The screens are then kept on the light stand to see that whether the results are satisfactory or not. When the staff feels that the design is satisfactory then they send this screen to the heating machine for curing. The curing is being done through an oven. The screens are kept about 20-25 minutes in the oven. This heat fixes the design on the screen so that after the final touch the screen can be sent to the next department. During this stage the ring type iron is fixed on both the sides of the screens so that the screens could be taken to the printing department for printing. During the touching stage the final work is done. In this stage if there is any extra patch on the screen, then they are blocked with SCR52 so that the correct effect can be drawn on the fabric. This is the final stage of Engraving Department. After this step, the screens are then taken to printing department. The design studio is a very important department of Processing Unit. The importance of design studio is because of the reason that without its right work nothing correct can be done. The presence of good design studio is very important for any good textile export organization. Now after having the concept of design, it is then the responsibility of design department to make the screen design, to select the sizes of the screen, to select the repeats of the screens and most importantly to make the films and designs so that to have the same designs during the printing process as required by the buyer. In the digital design studio the work is being done through the latest machineries and software and dedicated and educated persons are there for the purpose carrying out the process. All of the work in this studio is done on the latest machines and the work can be accessed through the Wax Jet machine. In the other design studio, the work is being done through the experienced persons. In that studio the guideline is the first thing which is made at the start. After this step, there comes a chain in the design studio such as to separate the colors up to making the and preparing the films which can be used in the engraving department. The past year has been tough for the Industry as competition is steadily and margin of profits is becoming smaller day-by-day. Our competitors from Asia have come up in a big way with lower prices resulting from lower overhead, cheaper and better raw materials and machinery. Countries like China, Indonesia, India and Bangladesh played an active role in the fabric market. Improvement in quality and production capability was the main area of concentration. Market for Yarns and Grey fabrics was diversified to increase the customer base and reduce dependency on the Far East. In this effort business with Malaysia, Korea, Taiwan, UK and South America was initiated in case of Yarns. A new spinning unit of 21,672 spinning has also commenced, which caters to the weaving units in Narayangonj. In case of Grey Fabric market business was initiated in South Africa, North America, Japan, Italy, France, and Sri Lanka etc. Product range was also increased to cater to the differing needs of the buyers. Fancy and special items like Dobby Designs, Bedford Cords, and Cavairy Twills and stretch fabrics were developed which are being sold at premium prices. Bonani Rubber Industries has constantly updated our machinery, replacing old machines with new ones upgrading the existing set-up, leading to better efficiencies and quality products. Bonani Rubber Industries has established its name in new markets be creating specialized fabrics, designs and also by providing our customers with efficient service and excellent quality. Leaving behind the traditional way of doing business and in our journey towards excellent it has consistently expanded its buyer base and explored the different markets around the world. Keeping in view demand of the World market, Bonani Rubber Industries Textile Ltd pursued its strategy of value addition and reducing the dependency on Grey Fabrics and Grey Yarn. Having the foresight to assess that in coming year’s value addition will be the thing of the future, Bonani Rubber Industries Textile Limited worked towards the achievement of its goal of future increasing its capability in value addition. The export of processed fabric and made-Ups has shown market improvement as compared to last year. In Europe, Bonani Rubber Industries has made the most growth in the year 1999. It has placed us successfully in the middle to upper end of the market. Our strength in Europe is the curtain division. This included yarn dyed dobbies, engineered confections, different finishes and embellished products. The plan is to continue with this winning strategy and at the same time we are trying to find new clients in the high end. We are also exploring business opportunities in countries like Spain and France where Bonani Rubber Industries has very little business at the moment. North America is the star market for Bonani Rubber Industries; it’s a new market for it after breaking up the exclusive arrangement with our previous sale set-up. The quota is coming down in 2005 and we have started to prepare for it internally as well as for the external environment. Bedding is the bulk of the home textile business. Bonani Rubber Industries is in the process of updating its machinery to cater the needs of the wider width fabric requirement for USA bedding business.Bonani Rubber Industries is also taking up the social accountability issues very seriously, which are so dear to the American consumers. Lot of big brand US companies have visited us and are discussing the possibilities of a joint venture. The opportunities are limitless, we have to review and analyze them very thoroughly to associates with the right people in the long run. In the short term we are building a small amount of quota, which will give us recognition as a bedding supplier. Bonani Rubber Industries is very strong in non-quota categories like curtain and table linen. These categories are best served with new product development (NPD). Bonani Rubber Industries will coordinate the effort for NPD by all markets to optimize results. Bonani Rubber Industries has achieved the highest sales in 1999-2002 for North America market. On top Bonani Rubber Industries has developed more direct and closer relationship with our end customers. Oceanic has been our most lucrative and mature marker. In business terms it is our “cash cow” market. Primarily due to being a non-quota market it had no real limitations in this market. Despite economic problems in that region, it has maintained our sales figures in the year under review. This market is a good design source for other markets, which is helping us to maintain our print volumes. Middle East market is composed of South Africa and the new emerging markets like the UAE, Egypt, Saudi Arabia, and Jordan etc. Bonani Rubber Industries has dedicated new staff with fresh energy for the emerging market. They have successfully broken the ground and we have very strong faith that these markets will give us good volumes in the near future. We are also targeting printed apparel business for the first time. The latest addition is the most ambitious Apparel Dyeing plant setup near Lahore, which has started its production. The effectiveness and productivity of this plant will be further enhanced, as Bonani Rubber Industries Textile Ltd moves towards becoming a more vertically integrated organization. Our dyed fabric has already established its name in the market. It is being exported to some of the leading brands of the world. Bonani Rubber Industries has increasing its profitability by working efficiently, procuring better raw material and most importantly kept a very close association with its costumers. It visits its business partners frequently and provides them with the best service possible. All of the above mentioned points led to strengthened relationship with its business partners making it very difficult for its competition to penetrate into its market share. Bonani Rubber Industries has provided its staff with better working environment and facilities, which enhanced efficiency and out put. At Bonani Rubber Industries, it is prospering due to our professional commitment toward excellence and giving the best results at all times and against all odds. Its marketing and production teams co-ordinance at all times and it focus remains on maintaining its position as the market leader in the textile sector of Bangladesh. Along with the cutting section, there is another important depart named as commercial department. The working of commercial department starts from receiving the stitching programs. First of all, they see whether it is a new order or a repeat order. Then they issue a demand order through their Purchase Department. It is the duty of the commercial department to arrange all the equipment needed in the stitching unit for every bulk order. The products which are the responsibility of the commercial department includes label, fusing, polyester rope, stiffener, insert card, poly bag, stickers, size stickers, identification sticker, barcodes, security codes etc. A freezing plan is made every month so as to maintain & systemize the production process. The stitching unit of Bonani Rubber Industries have latest and number of machines to fulfill the customer need & requirements. Total number of helpers in on daily wages in the whole stitching unit is 724. There are 400 machines in the GSC (general stitching company). Quality is most important consideration while production in Bonani Rubber Industries. This is why the quality checks in stitching department are of very good level. In Bonani Rubber Industries Sewing Lahore, Acceptance Quality Level 2.5 & AQL 4.0 is under practice. The Bonani Rubber Industries Sewing Lahore is a certified for quality level from many organizations. This shows that the Quality checks in Bonani Rubber Industries Sewing Units are of international standards. As the stitching department is the last department before the dispatch of goods so a lot of responsibility comes on its shoulders. There are sample rooms in the stitching units so as to fulfill the sample stitching requirement for different markets to ensure customer satisfaction. So the above is the brief overview of some of the Bonani Rubber Industries operations. Now we’ll discuss the chances of further improvement in Bonani Rubber Industries. The export department of Bonani Rubber Industries is known to be the best marketing department in the whole Industry because of the commitment and dedication of employees, the determination of work & the best management system. Bonani Rubber Industries Marketing has a very strong liaison with their customers around the world. That’s why Bonani Rubber Industries has different segments on the basis of different regions like North America, Australia and Europe. Every region has a different Export Manager and its whole staff. The marketing responsibility is not only to just sales and marketing it has also to find out new horizons and new ways. That’s why Managers visit to new Markets around the world. The market is very competitive. There are lots of competitors in the Industry right now. And to some extent the price war also exists among the competitors. But due to higher demand of the product the market is quiet normal. So in the Industry rivalry among competitors is moderate. Previously there were very few textile product manufacturers. Foreign buyers got the textile product at a lower price compared to other countries. So earlier the bargaining power of the supplier was low and the foreign buyers did not want to argue too much with the manufacturer. But the current scenario is bit different. Now there is lot of manufacturers and the market is getting competitive. For this reason the bargaining power of the buyer is quite high right now. Along with the manufacturers, the demand of our textile and garment product has also increased. For this reason, the bargaining power of the supplier has not fluctuated too much. And the bargaining power of the supplier is moderate here. Substitute product does not exist in the market and the demand of this product is quite inelastic. So here the threat of the substitute product is very low. Not only are the local investors but also the foreign investors are very much welcome to invest in the Industry in our country. And the government gives all sorts of facilities to the new investors. And due to higher profitability investors are very much interested to invest in this industry. For this reason the risk of the entry of the new firms is very high. Bonani Rubber Industries produces 100% cotton yarn dyed fabrics. Though Bonani Rubber Industries is a business to business firm, we need to categorize their product in business product classification. Bonani Rubber Industries does produce finish product. Bonani Rubber Industries price their product based on the construction of the product. A fabric which has a higher rate of construction, yarn count, and good quality it costs more. For setting the price Bonani Rubber Industries keep an amount as gross margin then add the cost of the product with the gross margin. In order to sustain in the market they follow competitive pricing. They set the price based on the price of the competitors. Though the market is getting competitive and Bonani Rubber Industries is bound to lower the price of their product. In that situation they maximize their revenue by bringing efficiency in their production system. They also charge higher price for some of their premium product. For example Fil-a-Fil and Chambray are their two premium products and no other Bangladeshi manufacturer is as efficient as Bonani Rubber Industries to produce those products. For this reason Bonani Rubber Industries asks higher price for that products. Here the customer is price sensitive and due to higher competition among the manufacturers, the customers are in superior position. So price sensitivity of the customers plays a crucial rule here. Product cost is the other factor here. Product cost influences the pricing situation very much. Bonani Rubber Industries charge the product price based on the production cost. For pricing situation it is also very crucial. If any company asks higher price for any product then the others overlap the situation and offer lower price to the buyers. Competitors respond very aggressively in this situation. In our country there is not any legal or ethical constraint for pricing. So the manufacturer does not need to think about the legal issues. Bonani Rubber Industries uses price as an instrument of competition with their competitors. As I have said earlier, now Bonani Rubber Industries is one of the largest companies in Industry. And by producing huge amount of product they gain economies of scale. In addition to this they always try to be efficient in their production system. As a result of that they achieve the quality to lower the price a bit. Eventually, without losing any profit they are now able to use the pricing technique as an instrument of competition. Bonani Rubber Industries asks higher price for some premium products and they have competencies of that product. And no other Bangladeshi company is as expert as Bonani Rubber Industries to produce that product. The higher price of that product shows the image and quality of that product. In their promotional strategies Bonani Rubber Industries does sales promotion, Public Relations, personal selling, Direct and interactive marketing. For Advertising Bonani Rubber Industries attends many different fairs in home and abroad. They attend fairs in different countries in Europe and America. They also attend many fairs in Bangladesh that are usually organized by BGMEA. Bonani Rubber Industries textile is certified under ISO 9001-2000 and so it meets the requirement of international standard and has a value in the mind of concern people. Bonani Rubber Industries textile limited has a greater security system. There are different hidden security cameras which capture the all moments. Bonani Rubber Industries textile limited using advance technology like they have modern machinery by which the quality of product produced is very high. They are using modern looms which they have purchased from Japan and France. And by using that latest machinery the productivity of the employees are very high. Bonani Rubber Industries textile is one of the pioneer textiles in the Bangladesh so it got the position in the mind of its customer. And being an old textile company people are loyal with it. Bonani Rubber Industries has a better position in the mind of its customers. The management of Bonani Rubber Industries is skilled they have hired the foreign graduate people in their management and also experienced people from all over the country. They are providing better pay to their employees and also bonus to them which motivate the workforce and they are doing well at work setting. The owner of the Bonani Rubber Industries is one of the richest persons of the Bangladesh. Because it is an old textile and it has still keep its position in the textile market on all others competitors in the nation wide which is its competitive advantage. They have a management information system by which the departments and employees are connect with each other and they have a data ware house by which they can share their resources easily. The production cost is high because of not properly utilization of its resources. The decisions are made by the upper management which is weakness of the Bonani Rubber Industries because they have no proper idea about the situation and their decision can be not fruitful for the company. Because of the other textile specialized countries like China, India etc the international image in the textile sector is very weak. Those countries providing cheap product to the market then Bangladesh’s textile industries. The advertising and promotional cost of the Bonani Rubber Industries textile is very low it can take advantage for more turnouts. Some facilities that other providing to their employees like Transport and medical fee etc Bonani Rubber Industries not providing to their employees because of which the productivity of the employees decrease. Currently the Bonani Rubber Industries not dealing in knitwear they can expand their product line by producing knitwear. They have plants and the extra cost for the production will be low for Bonani Rubber Industries. And they also have better market repute. If the cost of different matters which is not utilizing properly is controlled by the Bonani Rubber Industries management they can produce more in a few costs. It has to develop a further systematic process for controlling and managing resources. They can take advantages by hiring more skilled people and they should hire young, fresh and energetic staff for their betterment. Because of the research and development the design and the product of Bonani Rubber Industries is just satisfactory as compare to competitors in the globally and they are not fulfilling the demand of customer. Political instability effects the Bonani Rubber Industries because of the quota system the company can be restrict by the government to export. Government policies are changing day to day so it is a threat for the Bonani Rubber Industries to survive in such a changeable situation. Because of the economic instability the Bonani Rubber Industries affected a lot. Dumping system which is rising on daily basis in the world can create many problems for the company and any uncertainty in the world like 9/11 may affect also the overall export. From the analyses and findings interpreted above, I would like to recommend the following factors to be taken seriously by Bonani Rubber Industries management. Bonani Rubber Industries should increase their loom efficiency and install higher quality foreign machineries in order to avoid different types of fabric fault as well as avoid compensations, which incurs huge amount of losses sometimes. Currently there is only one designer working at the design studio. A couple of more designers or assistants should be employed so that they can work efficiently in a team and design more lucrative and exact patterns. In order to avoid mismatch between samples and bulk, Bonani Rubber Industries should install fully automated computerized software and machineries because these problems usually arise from errors in manually input data and confusions from those. It is sometimes seen the pantone numbers are incorrect or the sample numbers are incorrect in the labels. So, they should work seriously on this issue. Many more looms should be installed in order to avoid minimize the lead time for production. Otherwise the regular buyers will get delivery on time and local irregular buyers will not. Ultimately they will lose interest in Bonani Rubber Industries and in future if there’s any scarcity of foreign buyers and orders at Bonani Rubber Industries, those dissatisfied local buyers will not place orders either. A couple of more messengers should be employed at the sales & marketing office of Bonani Rubber Industries so that buyers can get samples promptly and on time. It is very important because if the buyers get sample from other fabric manufacturers quicker than Bonani Rubber Industries, they might switch from Bonani Rubber Industries and place orders with other manufacturers. Efficiency should be maximized by employing more professional management personnel so that fabric price can be reduced because the yarn prices are increasing on a weekly basis now. Bonani Rubber Industries should buy more cargos and vans of their own so that they can arrange immediate delivery and not wait for rented transport. Sales & marketing personnel should communicate well with the local buyers as well as the foreign buyers because no buyer should be seen as small in order to sustain with reputation in the market. From the above stated analysis, it can be said that product quality of Bonani Rubber Industries Textiles Ltd. Plays most significant rule for customer satisfaction. In addition to this, Good co-operation of Bonani Rubber Industries and Their verities of product also play crucial rule for customer satisfaction. Further more, to some extent buyers become satisfied when their requirements are fulfilled. Moreover, Buyers also become satisfied when they get good co-operation from Bonani Rubber Industries Textiles Ltd. Therefore, definitely product quality plays vital rule for customer satisfaction. But along with the product quality Good co-operations, Product variation and fulfilling buyer’s requirements appropriately plays a crucial rule for customer satisfaction. If Bonani Rubber Industries can meet the recommendations above, there will be no other player in the market who could beat Bonani Rubber Industries in the Y/D shirting fabric industry. Finally, I can conclude with saying that the product quality of Bonani Rubber Industries is the main reason for its customer satisfaction. Over here, product quality doesn’t mean the fabric quality only. It contains the over product, price, promotion, delivery, service, and commitment quality of Bonani Rubber Industries and its human resources.